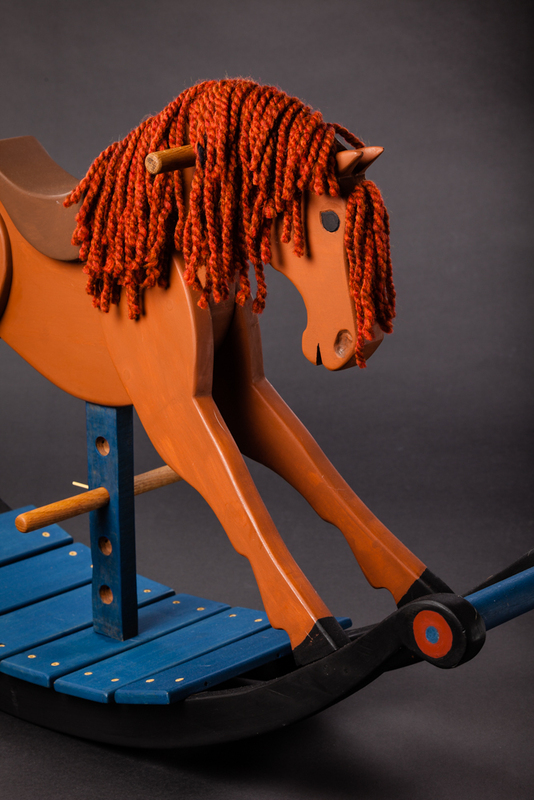 The Racer is a more simple design, and does not include a lot of carved details. 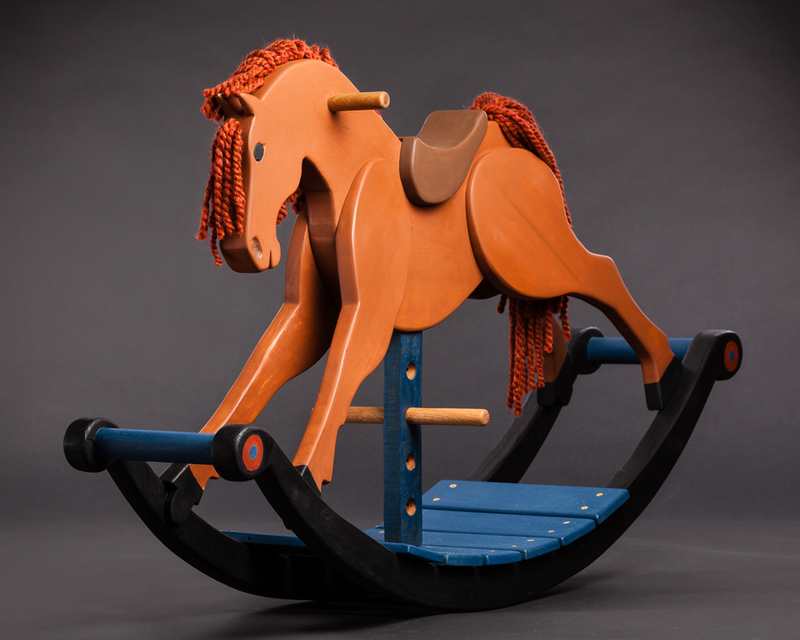 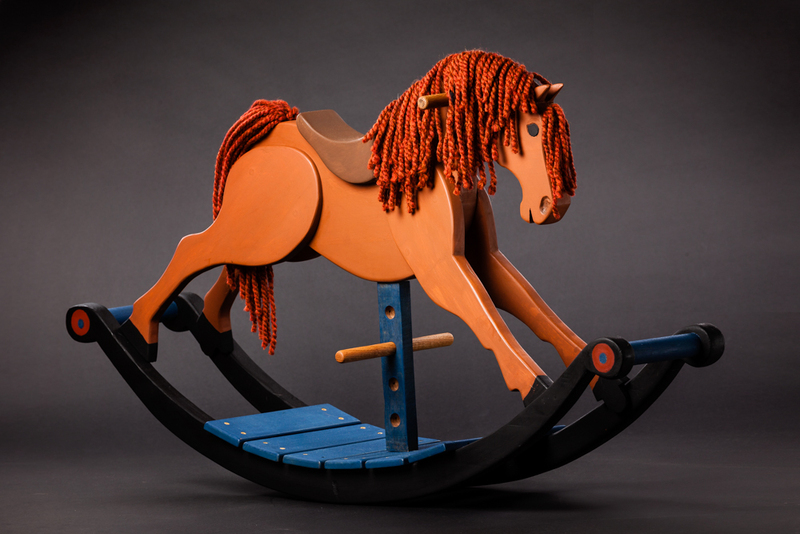 It is very sturdy and stable, and is great for young and older riders alike. 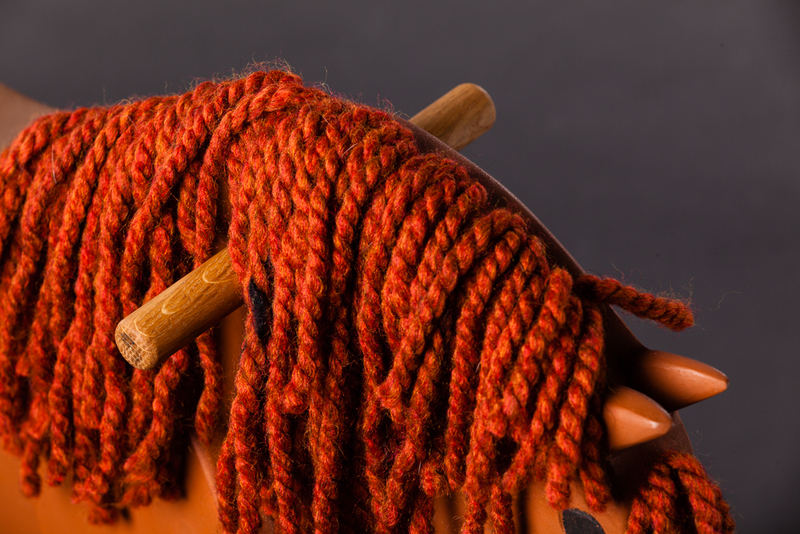 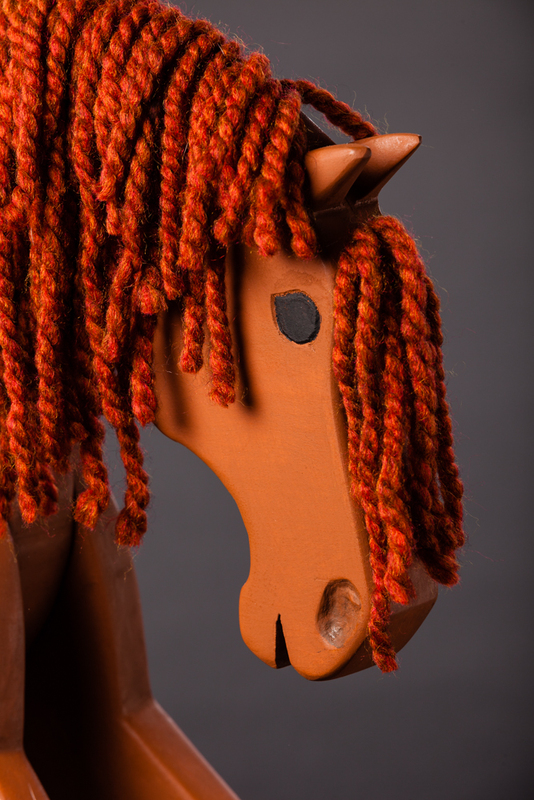 This Racer is a warm Chestnut brown with reddish-brown chestnut yarn mane and tail. 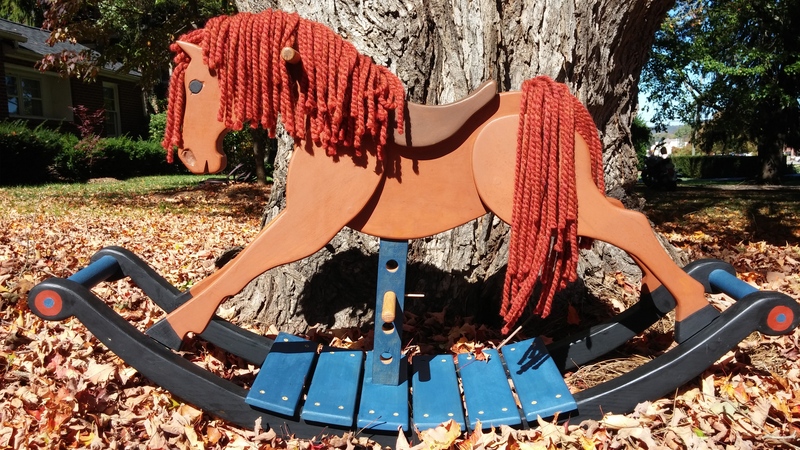 Fun wide rock makes for a wild ride!